Vangelis Trigas is a Greek soloist, composer, bouzouki tutor and researcher of Greek folk music. In his long career, he has promoted Bouzouki and Greek folk music in Greece and abroad. He has countless successful co-operations and he is the author of 39 books related to bouzouki and Greek folk music including the highly distinguished Method for three-string and four string bouzouki. He also gives lessons through web and performances in Greece and abroad together with Vangelis Trigas Ensemble. 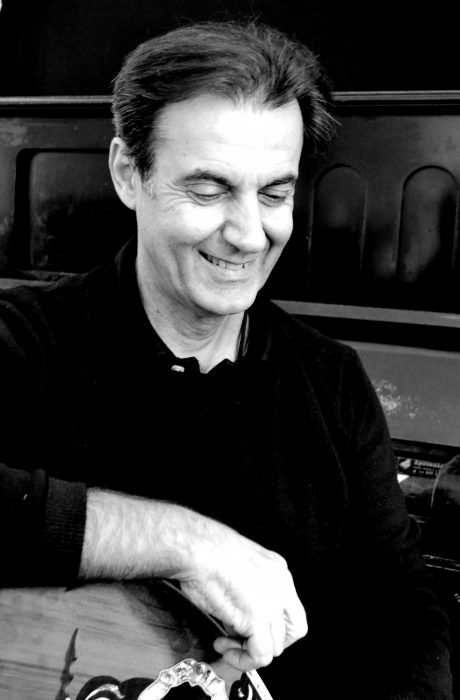 As a soloist, Vangelis Trigas has played with the most successful Greek singers and artists (Maria Farantouri, George Dalaras, Haris Alexiou, Dimitris Mitropanos, Manolis Mitsias, Mary Linda, Manolis Lidakis, Vasilis Lekkas, Gerasimos Andreatos et al). 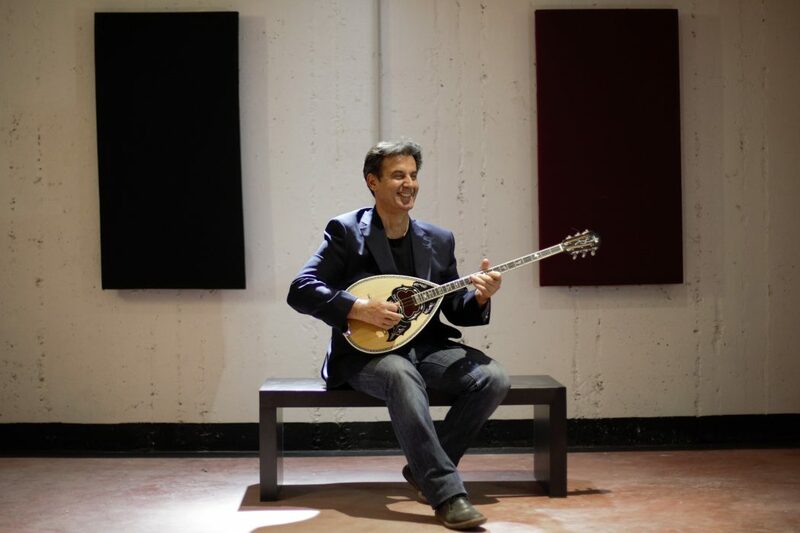 Vangelis Trigas is an experienced tutor in bouzouki. He has done a long survey in order for bouzouki to obtain a documented technique and established study, equal to that of the classical instruments. The results of that survey are included in ‘Vangelis Trigas- Method for three string Bouzouki” Vol 1-2-3, and “Vangelis Trigas- Method for four-string bouzouki” Vol1,2,3 which consist a complete curriculum on bouzouki study. Since 2000 he promotes this modern and updated study method on bouzouki, by giving lessons in Greece and abroad. In addition, since 2005 he started giving bouzouki lessons through Skype and that proved to be a breakthrough. The study and listing of Greek folk music he has done all these years resulted to publishing 39 music books that apart from his Method, contain music sheets and are included in the book series “Laiki sinthetes” (folk composers), ” Rembetika kai laika tragoudia” (Rembetika and folk songs), “Entehna laika tragoudia” ( Artistic folk songs), ” Ta organika tou bouzoukiou” (The instrumentals of bouzouki). It is the first time that the most important folk songs and instrumentals are written down in notes in the exact way that were recorded for the very first time by the composers. These books are also part of the curriculum. Vangelis Trigas has released so far three CD’s with instrumentals he composed as well as one CD with old folk songs. In the three CD’s of instrumentals “12 Instrumentals for three-string bouzouki”, “On three strings” his main concern was to demonstrate the issues regarding the potentials of the three-string bouzouki and its technique whereas in his latest CD “Optima” he presents his views on the future regarding the bouzouki. Τhe CD with folk songs, which is titled” Bouzouki virtuosos and renditions” he has performed old folk songs in his own personal style. He has participated in numerous CD’s of fellow artists. Vangelis Trigas, in 2012 formed his music ensemble and gives concerts in cultural establishments and festivals in Greece and abroad. In these concerts significant songs and instrumentals from Greece and the Mediterranean are presented together with compositions of Vangelis Trigas in an effort to further promote bouzouki in Greek folk music. The refined sound of bouzouki is combined harmonically with the sound of the other classical instruments and with the special expression of vocals. The above suggest a new version of Greek and Mediterranean music material, they form a new proposal.